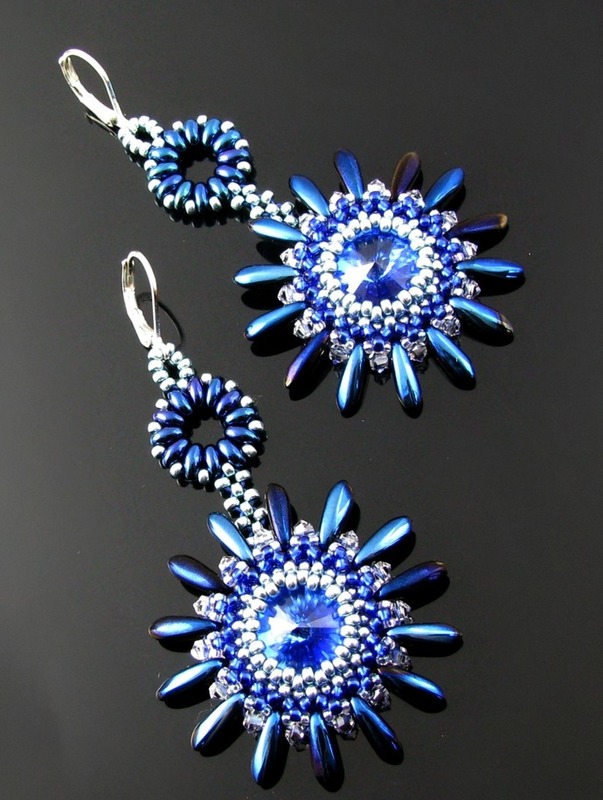 Prepare to catch some attention! 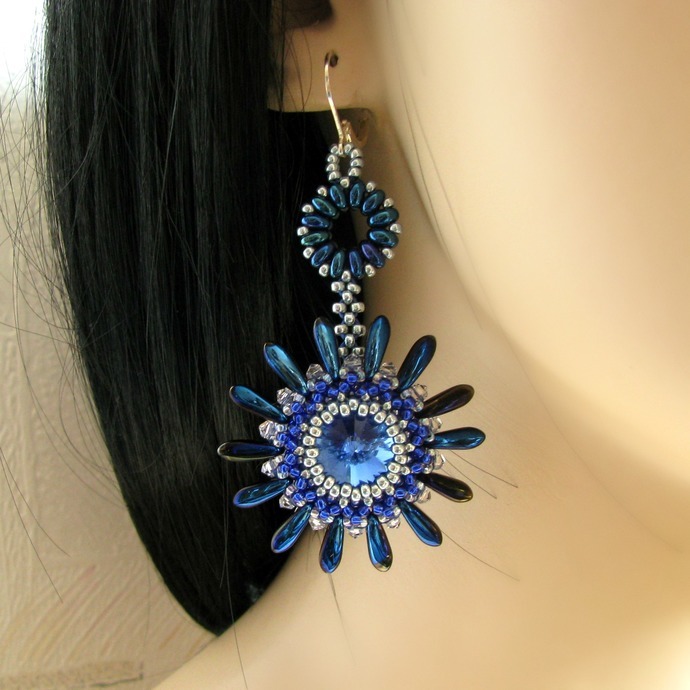 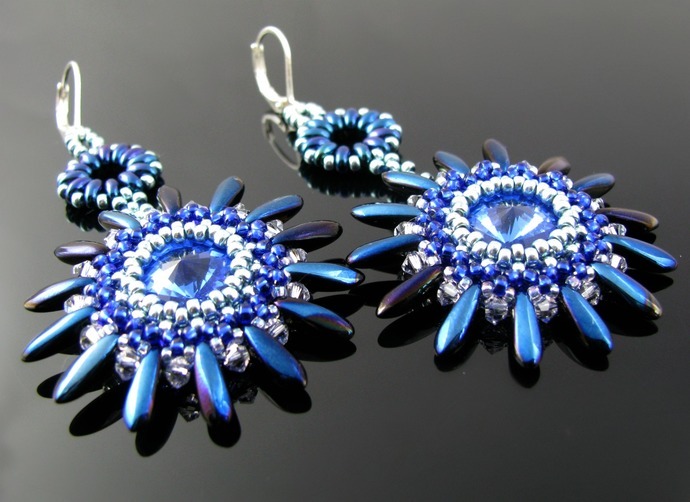 These earrings beaded after my own design are a study in blue - blue rivolis in a setting of ice blue metallic and silver lined sapphire blue seed beads with tiny clear AB seed beads and bicone crystals, and blue coated dagger beads for rays. 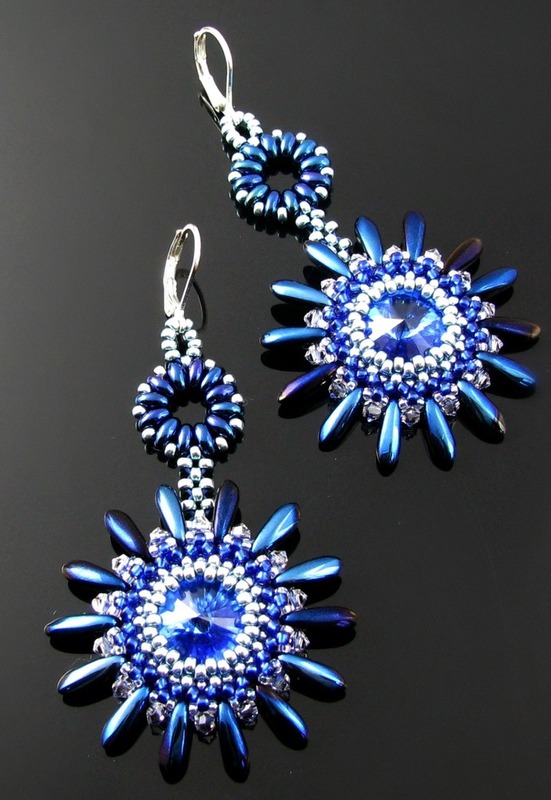 Those settings are topped off with a circle and strip of ice blue seed beads and beautiful blue Twin Beads. 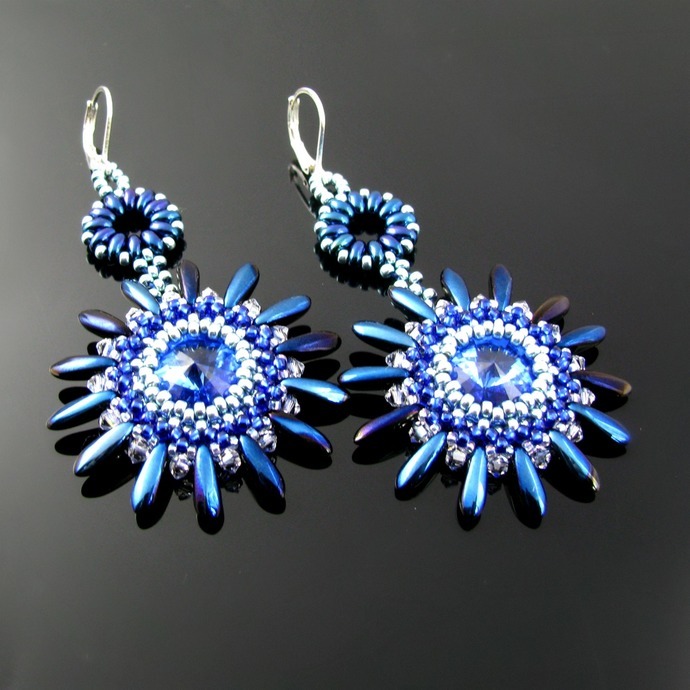 Including the silver tone leverbacks the earrings are 7.5 cm or 3 inch.